With its granit walls dotted with bright white stones, the GRAND HOTEL BARRIERE***** sits serenely confident, for over 150 years. 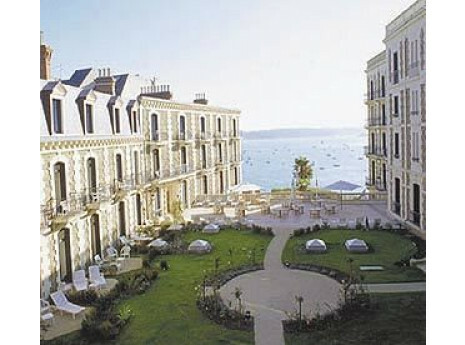 Overlooking the coastline and opposite the walls of Saint Malo, the GRAND HOTEL BARRIERE***** in Dinard is a haven of peace and serenity. It is ideal for holidays and weekends dedicated to relaxation and well-being. Recharge your batteries, let yourself be pampered, put your mind and body back in harmony, rediscover the natural beauty of your skin: just a few reasons to offer yourself a moment of self indulgence with treatments focused on natural beauty and relaxation.